What are the largest Australian copper companies? These five ASX copper stocks are the biggest on the exchange by market cap. Copper is used heavily in construction, but as electric vehicles and other new technology continue to thrive, uses and demand for the base metal are increasing. Companies across the globe are on the hunt for the red metal, with the top miners being Chile, Peru and China. But Australia is also in the running, currently coming in as the world’s fifth-largest producer. For that reason, many investors are looking to Australia for copper investing ideas. Below we run through the five top ASX copper stocks by market cap. All market cap and share price information was obtained on September 13, 2018 from TradingView. With an extensive exploration portfolio, Aeon Metals is on the hunt for more than just copper — its assets are also prospective for cobalt, gold, silver, lead, zinc and molybdenum. Founded in 2006, Aeon has since devoted itself to its flagship project, Walford Creek, located in Northwest Queensland near the Northern Territory border. Walford Creek has two primary resources: the Copper Lode, which contains 15.7 million tonnes at 1.24 percent copper and 0.15 cobalt, and the Cobalt Peripheral, which contains 18 million tonnes at 0.11 percent cobalt. The company is currently working on infill and expansion drilling at the project with an estimated completion date of November 2018. Incorporated in March 2004, Finders Resources is an Indonesia-focused company. Its primary asset is the Wetar copper project, located in the Maluku province of the Republic of Indonesia. Wetar currently has a six-year mine life with reserves of about 196,000 tonnes of contained copper metal. The project has two operational copper cathode sulfide heap-leach and solvent extraction-electrowinning (SX-EW) plants; one runs at 25,000 tonnes per annum (tpa) and the other at 3,000 tpa. The 25,000-tpa plant was commissioned in May 2016, and in combination with the other plant has produced over 37,000 tonnes of over 99.99-percent pure copper cathode to date. Based in West Perth, MOD Resources is a copper exploration and development company with properties in the Kalahari Copper Belt of Botswana. Between the company’s wholly owned tenements and joint venture licenses, MOD has access to around 11,500 square kilometers in the area. 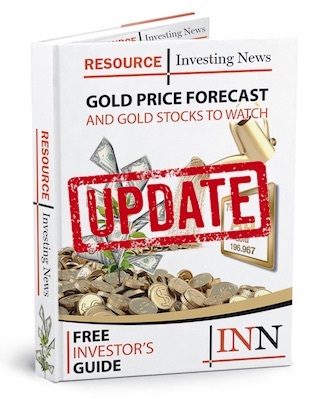 Aside from its six ongoing development and exploration programs in Botswana, the company holds an 80-percent stake in the Sams Creek gold project in New Zealand. MOD agreed to sell the asset to Condamine Resources for AU$3.8 million in 2017, and will retain up to a 15-percent interest in Condamine one the company completes an initial public offering. The sale is part of MOD’s strategy to further develop its copper asset portfolio in Botswana. What began as Kentor Gold in 1998 eventually evolved into KGL Resources in 2013 as the company set its sights on mineral exploration and resource expansion. Expanding the Jervois copper project, located in the Northern Territory and acquired by KGL in 2011, is one of the company’s key focuses. Since its acquisition, KGL has expanded Jervois’ estimated resource to 25.2 million tonnes containing 354,800 tonnes of copper and 23.6 million ounces of silver, together with gold, lead and zinc. The company also has two exploration licenses near the Adelaide-Darwin rail line, referred to as the Yambah project, and one exploration license called Unca Creek that has nearly tripled the available exploration space of the Jervois project. Listed on the ASX with its offices located in Papua New Guinea, Bougainville Copper’s (BCL) history dates back to 1967. The company is known for operating the historic Panguna copper mine from 1971 to 1989 when it shut down and was followed by civil war on the island of Bougainville. BCL once had Rio Tinto (ASX:RIO,LSE:RIO,NYSE:RIO) as its majority shareholder until the mining giant exited in 2016. Presently, BCL is primarily focused on trying to reclaim and reopen the Panguna copper mine, despite having the renewal of its exploration license denied by the Autonomous Bougainville Government earlier this year. In the meantime, BCL is trying to rebuild its relationships within the community by helping support local programs related to health, education and sport.